But what did really happen? 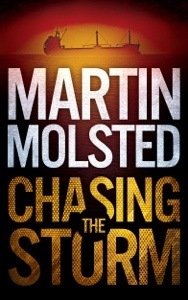 Chasing the Storm is Martin Molsted’s debut novel, although he has been actively engaged in writing shorter fiction, as well as screenplays since 2009. When he is not working as an Archivist in a Fortune 500 engineering company, he writes fiction and non-fiction. 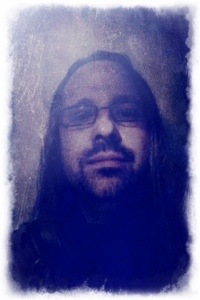 He enjoys playing music, singing, travelling, nice food, great wine, tasty beer and awesome custom built motorcycles. Martin Molsted lives in Asker, a small town between the greater cities Oslo and Drammen, in eastern Norway. He lives together with his French wife and their two daughters. No animals. Chasing the Storm has shades of a Cold War spy story, with a modern twist. The premise is a simple one, but well told with believable characters and just the right balance between all out action and narrative of characters and scene setting. It will keep you on the edge of your seat at times, wanting to flip the pages as things move at a breakneck speed. At others the global trail of cities and scenes will make you feel the atmosphere and culture in each one. I was never quite clear what was going to happen next, the book is well plotted and kept me guessing, with more than a twist or turn or two. I was invested in the characters from the start; Torgrim, Marin, Lena and Sasha, made a great combination. They were all believable, and it felt that the author had spent some time thinking about them and designing them to give them a sense of being real people. As the start of a series, with recurring characters, I’m looking forward to the next instalment and will be adding Martin Mölsted to my list of authors to keep an eye on. The author provided me with a courtesy copy of his book in return for an honest review.